The auto glass program is the first trade program at the college to use a blended online and face-to-face model. Photo courtesy College of New Caledonia. Prince George, B.C. 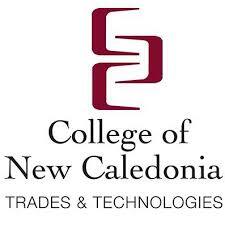 – This fall, for the first time, the College of New Caledonia (CNC) in British Columbia offered an Automotive Glass Technician Apprentice certification program. This program is the first trade at CNC to use a blended online and face-to-face model. The 16-week course will see students complete 15 weeks online with the last week spent in the shop at CNC applying their knowledge in a practical setting. This online model allows students to get their certification without having to leave work for long periods of time and makes it more accessible to students outside the Prince George area. For more information about the program, contact CNC at 250-561-5804 or trades@cnc.bc.ca.